The focal point of this outfit is of course the red sweater. The pairing of the deep purple contrasts the bright red, yet also ties into it with red flowers. The scarf brings green, pink and dark yellow to the look as well. It creates interest and variety and tempers the red. Worn with wide-leg jeans, which mimic the lines of the sweater and create a uniform silhouette. Basic black clogs complete the look. 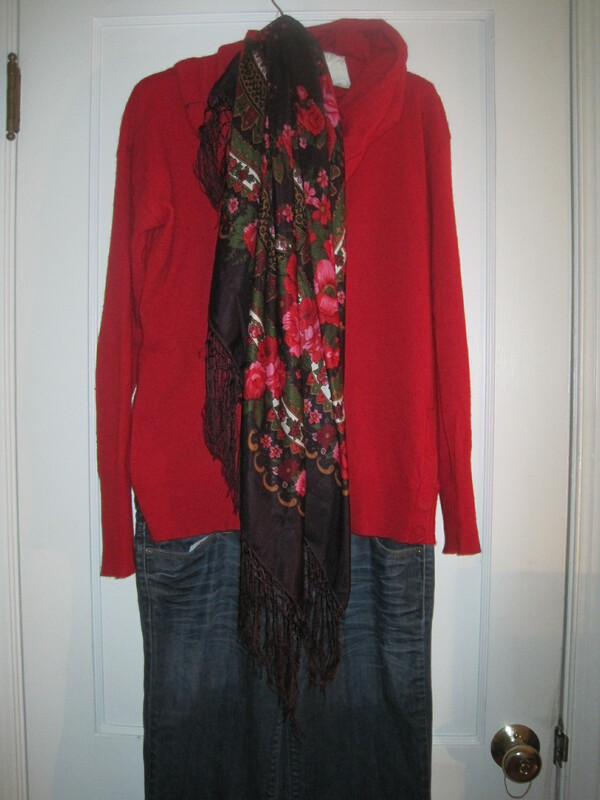 This entry was posted in Daily Outfit and tagged denim, floral, purple, red, scarf, sweater. Bookmark the permalink.